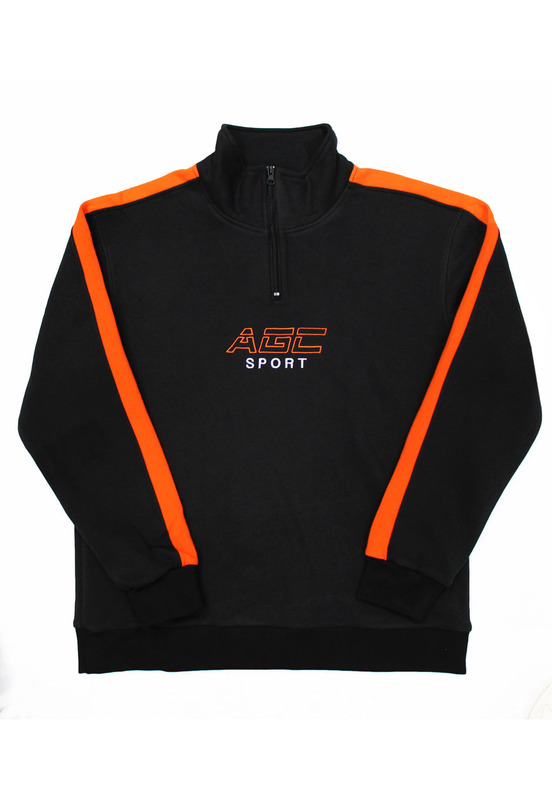 AGC Sport Quarter Zip Sweater. Generously sized pullover made from pre-shrunk, ultra soft cotton fleece. Contrast cut arm stripe + embroidered front motif. Matching pants available.